All The Wonders’ contributors are parents, teachers, and librarians. We therefore delight in books that not only bring joy to our children, but inspire them as well. 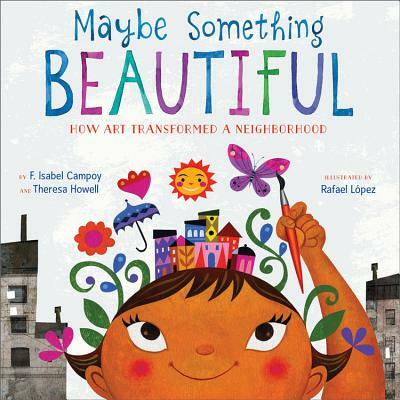 Maybe Something Beautiful: How Art Transformed a Neighborhood—by F. Isabel Campoy and Theresa Howell, with illustrator Rafael López —is one of those joyful, inspirational books that we have come to hold close to our hearts. Through its fictionalized tale of a true neighborhood transformation, the story expertly demonstrates to our little ones how their efforts to create beauty in the world can grow and multiply. Through reading Maybe Something Beautiful: How Art Transformed a Neighborhood and reflecting on its message of community, team work and neighborhood beautification, children will come to understand how even the smallest of contributions to their community can bring joy to so many. 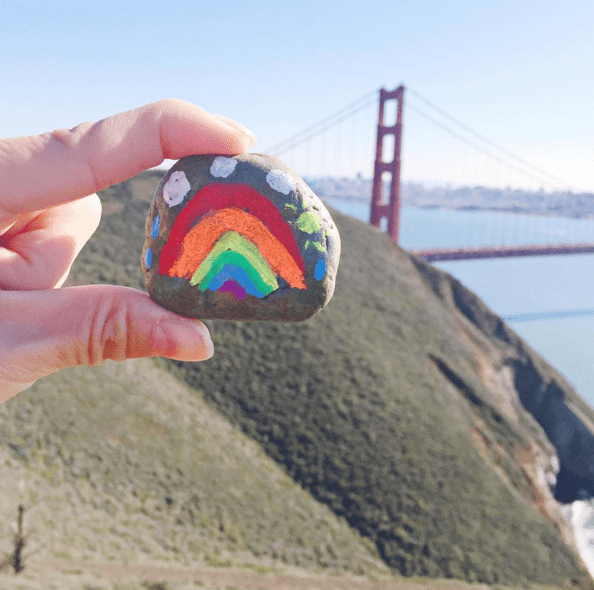 The Word Rocks and Rainbow Rocks projects spread happiness by leaving rocks with positive messages or bright, cheerful art where others can find them. What an easy way for kids of any age to share something beautiful! Engage your school, scout troop, or community group in collecting the plastic bottle caps that can’t be recycled with the bottles. 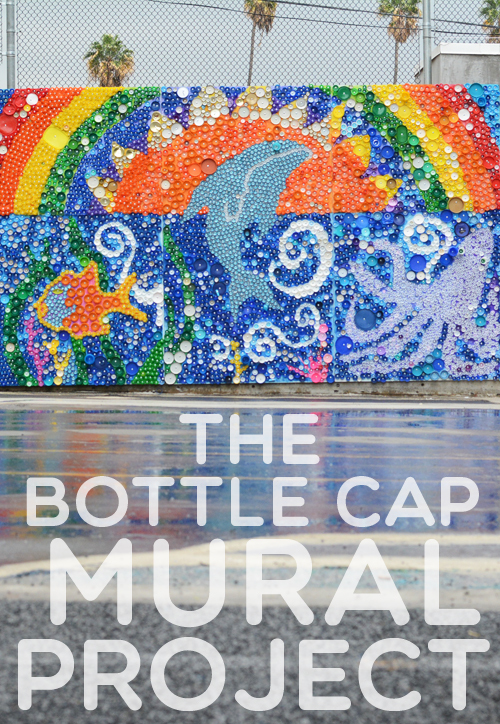 Make a bottle cap mural to brighten your community, like this one from Meri Cheri. Clean up the trash! It can be as simple as taking a garbage bag on your family morning stroll, as bold as organizing a neighborhood clean-up day. Even the littlest kids can help spot litter from their seat in the stroller. Flower pots, hanging plants, or these amazing Flower Bombs from Gardenista.com cheer up your neighborhood like nothing else. 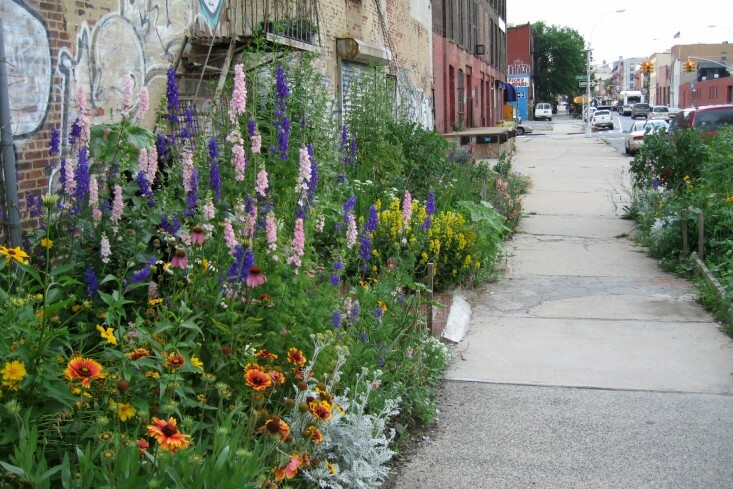 Consider bringing plants to a nursing home or offering to spruce up the median in front of a local business. Give a staircase a pick-me-up by pulling out your best ROYGBIV paints and turning it into a masterpiece, like this one in Turkey. Just don’t forget the pot of gold at the base of the stairs. 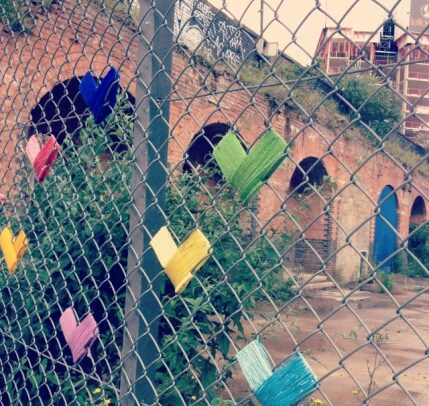 Grab some yarn and give a chain link fence a much-needed heart attack, like this one we saw on Needle Work. 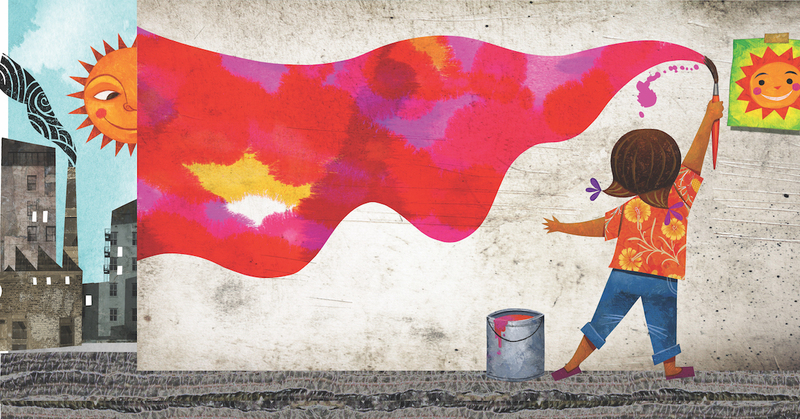 This is one of the easiest things your children can do to give a bleak street an instant blast of color that is guaranteed to warm your heart (no pun intended). What better way to make your neighbors feel at home than with a buddy bench? Paint a mural on it—or inscribe it with your favorite quote—and you’ve got an instant gathering spot for new friends. 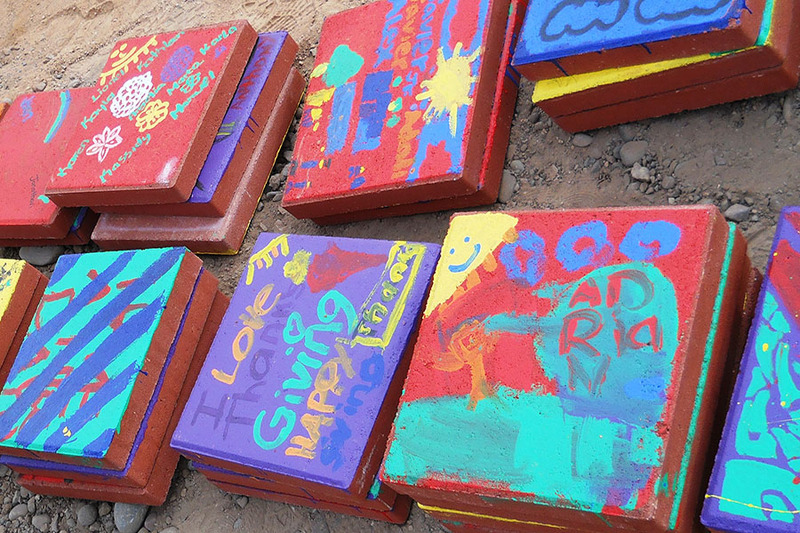 If you have the opportunity to create a walkway in your community, make it beautiful with vibrant stepping stones, like these from Kaboom! A path like this will make sure all your neighbors start the day on the right foot. Nothing brings a neighborhood together like a Little Free Library. Having a place to borrow and exchange books builds community and friendship, grows readers, and creates connections. Plus, they’re awfully cute! Purchase Maybe Something Beautiful for your reader or readers.